Sebastian Vettel believes he and F1 rival Lewis Hamilton have always shared a "mutual respect" for one another. Sebastian Vettel says he appreciates the “mutual respect” that exists between himself and Formula 1 title rival Lewis Hamilton. While their on-track battle for world championships across the past two seasons has often been intense, the relationship between Hamilton and Vettel have remained relatively harmonious throughout. 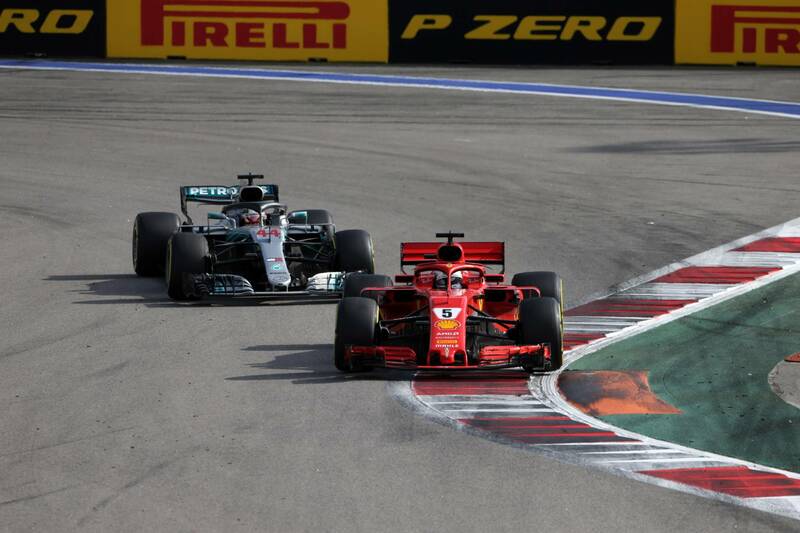 The only major flashpoint between the pair came following a controversial collision under the Safety Car in Baku last year but both drivers were quick to move on from the incident. Following the Japanese Grand Prix, Hamilton leapt to Vettel’s defence in a post on Instagram that claimed the Ferrari driver had been the subject of unfair criticism from the media after a spate of recent mistakes. “I think the respect between us has always been there,” Vettel said at this weekend’s United States Grand Prix when asked about Hamilton’s support towards him. “Despite the fact that maybe we are very different, we appreciate the job that the other guy is doing. I think it’s a mutual respect that we have for each other. I think [it’s been] very respectful. “I think obviously there are two different championships apart from drivers and constructors,” he added. “One is really between the people that work here and then the second one is for the people that also work here but more for people outside. “I think there’s the driver landscape and the media landscape, and obviously they’re not always a match, sometimes for a reason, sometimes maybe not. Vettel previously called out journalists for questioning Mercedes’ use of team orders in Sochi and also defended Hamilton in Bahrain when the Briton was asked about a comment he made referring to Max Verstappen following the race. Hamilton, who can clinch his fifth drivers’ world championship title in Austin if he outscores Vettel by eight points on Sunday, explained that his comments were borne out of respect for his chief rival. "I think if I was in the same position they would probably do the same thing so it's more as drivers we are all members of the GPDA and I think we all just need to stick together,” Hamilton said. “I think the respect that we have for one another I think is probably the greatest that it's been for many years. "At least in the years that I've been in Formula 1. I think ultimately as a four-time world champion, it is the most intense year that we've had. So every hiccup is magnified, naturally, as it is perhaps in any sport at the top. "But there have been many - or several - times that I've been in the firing range and Seb's always been really respectful and supported me, so I thought it was only just to do the same."